When Katniss Everdeen rises from an underground elevator into the arena in Hunger Games: Catching Fire, IMAX viewers will see the film's visuals dramatically change. The 50-minute arena sequence in this Hunger Games sequel has been formatted for IMAX, resulting in an immersive, larger aspect ratio. Instead of a typical widescreen image, with black bars on top and bottom, the IMAX image expands vertically to fill the entire screen when Katniss (played by Jennifer Lawrence) enters the battlefield. The first few minutes of the changeover are particularly captivating, as water violently splashes around each character. The trees come alive in both color and movement, and you can see the sweat collect on the tributes' faces. The encompassing experience makes viewers feel as though they are in the arena. "When I signed on to do the movie, I knew very early on that the arena portion would work very well with IMAX," Catching Fire director Francis Lawrence told Mashable. "The switch to IMAX hits you hard. It's stunning." While a home HDTV image has 1,920 pixels, an IMAX frame has about 18,000 pixels of horizontal resolution, which highlight the smallest details in each frame. 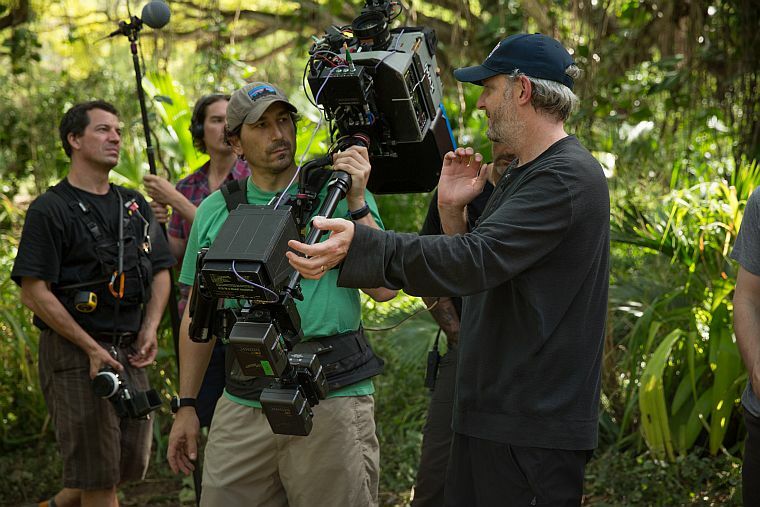 To capture this, Lawrence used three IMAX high-resolution cameras on set in Hawaii. They are highest-resolution cameras in the world and have only been used by a few filmmakers, including Christopher Nolan in Dark Night Rises and J.J. Abrams in Star Trek: Into Darkness. The filming process presented difficulties for the film crew and actors. Read more about the use of the IMAX Camera in The Hunger Games: Catching Fire on Mashable's website.